Black clock with gloss finish. Bold roman numerals and chunky hands on a dark cream face. 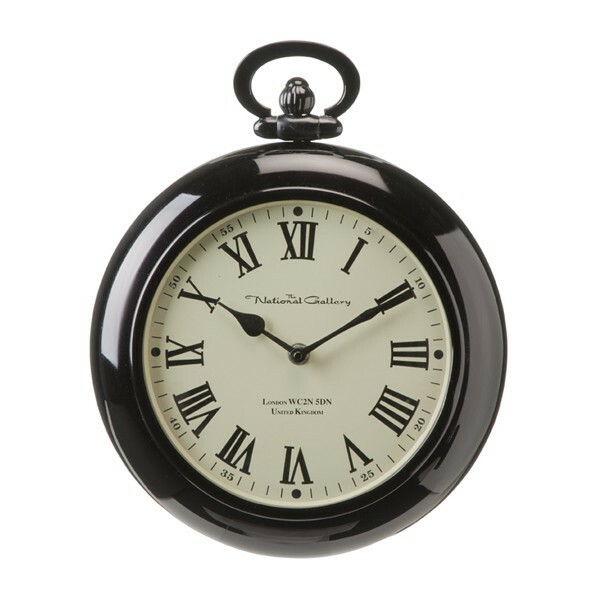 Height to top of fob approx 33cm, width of whole clock 28cm (approx 11inches). Clock face 19cm in diameter. Approx. 6cm in depth. Takes 1 x AA battery (not supplied). Featured in Property Envy online. 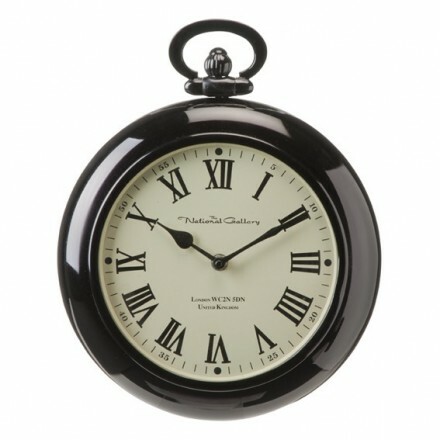 Beautiful clock to add a feel from a past era to any room. In addition to the roman numerals the 5 minutes are marked with numbers for ease of readiing. Height to top of fob approx 33cm. (Approx. 13inches) Clock face 19cm (approx 7.5 inches) in diameter. Width of whole clock is approximately 28cm ((11inches) Approx. 6cm in depth (approx 2.5 inches). Takes 1 x AA battery (not supplied).